Simplified payment verification for assets, storing only essential data to minimise bloat at high transaction volumes. Trustless HFT: centralised order matching, executed on the blockchain — enabling the speed of traditional exchanges without the risk of storing funds with a centralised party. User-defined network tokens — enabling transactions to be paid for in any agreed currency (e.g., transaction fees for USD transfers paid for in USD). Naturally, they also stayed for the BIP001 after-party. There’s some big news from one of our existing partners, Mycelium. As part of its relaunch, the popular wallet company will be integrating Waves at a far deeper level than previously stated. Users will be able not only to send and receive custom tokens through Mycelium, but to create them on the Waves platform. Waves tokens will be supported across the range of Mycelium’s applications and devices, including the Mycelium Card — hardware wallets in the regular ISO ID1 size with wireless units, keypads, rechargeable batteries and built-in displays. Each card is the wallet and POS terminal in one. Cards perform peer-to-peer connections that will later upgrade to full-scale mesh networking. Besides prominent bitcoin and fiat wallet usage, cards are perfect for loyalty programs, airline miles collection, etc. This is a fantastic opportunity for Waves to be adopted across Mycelium’s large and rapidly-expanding user base. Meanwhile, progress on release-ready full node code is on track, and expected within the coming weeks. This will enable anyone to run a node and benefit from staking their WAVES balance, bringing full decentralisation to the Waves network and opening the way for the next round of exchanges. The official WAVES website is nearing completion and will be launched in due course. Additionally, our forum, WavesTalk.org, is open for registration and use now. 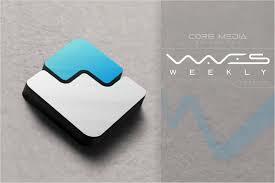 Lastly, there’s some press for Waves on StakePool. Owner Fyrstikken spoke on TV to Zak Mir about bitcoin, the Halving — due today — and, of course, the Waves platform. You can find a comprehensive write-up of the Waves platform at BitBillions, courtesy of Waves supporter GlobalWork365. This is a great introduction for anyone new to Waves or looking to find out more.